As we’re probably all aware, video game culture — the games themselves, the players, and the media covering it — has a wee bit of an image problem. No matter how far we’ve progressed in becoming more mainstream, trumpeting video games as art forms to Roger Ebert, and helping to cure AIDS through gamer groupthink, we’ve yet to shrug off this massive reputation of being immature jerks. Some days, like today, I can see why we’re spinning our wheels with progress in this regard. If you haven’t heard already, there’s this story of a middle-aged dad in the UK who was taunted by a teenage kid over Xbox Live, so he tracked the kid down and choked him. Not to death, but bad enough that it freaked the family out and ended with an arrest. It’s a story that’s lit up discussions all over the place, mostly due to so many people — wait for it — applauding the choker for his actions. I’m not even remotely making this up. Gamers far and wide are applauding this physical assaulter because he represents “sweet vengeance” or something on smacktalking video game jerks. What gets me, when reading reactions to this story, is just how petty and vindictive these comments are. Plenty of them start with “I don’t condone violence, BUT this kid was asking for it.” Because violence is bad, you know, unless it’s either funny or provides some sort of vicarious release for gamers who sometimes fantasize about slapping online jerks upside the head. I get that. We all have those daydreams, especially when someone is just mean, rude or vile to you and you feel like you can’t do anything about it. The thing is, having fleeting dark revenge fantasies is legal. Physically trying to kill someone is not. No matter how much you think this kid “deserved” the payback, words don’t justify assault. It’s when gamers are coming to the defense of the choker that I realize the mob is no better than he. He just did what they wanted to, and they’re cheering him on for it, all while making noises about understanding that it wasn’t really right and hiding behind the shield of “it’s FUNNY so stop taking it so seriously!” No, it’s not funny. It’s sad and kind of sickening. There’s a lot of other side issues in this topic, such as the fact that this guy is clearly unstable, the kid’s parents should’ve been monitoring their son’s online behavior, and that if this teen was griefing this guy, there were plenty of ways to avoid/block/blacklist him so as to not have to deal with him from then on. I understand the kid and the parents aren’t blameless, but none of this excuses the guy’s actions, and gamers do no credit to their community by trying to provide justification just because of their own personal frustration at griefers. Seriously, how can we act like we’re maturing when this sort of thing goes on? It’s good to read statements and discussions by those who weren’t rooting for the choker and realize that this gives a black eye to the games community, and that’s heartening. I just wish I had read more of them today. By and far, LOTRO had the most votes, which you can chalk up to (a) its continued popularity, (b) this month’s expansion, and (c) a good chunk of LOTRO fans who read this blog. Take your pick. RIFT and WoW are battling for the #2 spot, and Guild Wars has a decent third place showing (are people trying hard for their Hall of Monuments points, like myself?). I’m most surprised to see Warhammer Online on the list, since I’d long assumed that fell out of favor, but hey, that’s cool! Champions is another shocker, a mere couple of votes down from City of Heroes (and way, waaaay above DCUO). Out of this list of 15 titles, one is in beta, one is buy-and-play forever, seven are F2P or have F2P options (with two more about to make the switch — Fallen Earth and STO), and the rest subscriptions. No readers play RuneScape? At all? DCUO and EverQuest tied for a measly 3 votes apiece… I don’t know if that’s sadder for EQ or DCUO. 3 votes for FFXIV, so apparently some people are still playing it! It’ll be interesting to see what next month brings! Bio Break September MMO Survey! We haven’t spoken of Final Fantasy XIV around these here parts since late last year, when I awarded it “Dud of the Year” with a slightly guilty feeling. Actually, I’m hard-pressed to think of any blogger who’s even mentioned playing it within the last eight months, apart from Massively’s Eliot. Eliot brought to my attention the fact that FFXIV is just now hitting its first anniversary, which Square-Enix celebrated by saying that the game “greatly damaged” the Final Fantasy brand. Ouch. Ever since the game launched in complete shambles, Square-Enix has been scrambling to make it right — somehow, anyhow. Every once in a while I hear about patches and fixes, but it’s safe to say that the FFXIV buzz in the MMO community is somewhere around flatline. It just doesn’t exist. But what I didn’t realize is that for this past year, the game’s been entirely free, since SE is not confident enough in its product yet to flick on the subscription switch. I knew it was free for a couple months following the launch, but still? A year later? How much money is FFXIV losing the company on a monthly basis? And what will the company do from here? The first option is to get the game to a much, much better point than it was at release, throw a relaunch party of sorts, and pray that players stick around — and that others come check it out. The second option, of course, is to go free-to-play and introduce some sort of microtransaction business model to help fund the project. Pulling the plug entirely would be a PR disaster for Square-Enix, especially since it’s a major part of the Final Fantasy series — Roman numerals and all. I’ve often been baffled by Square’s business practices, especially in the MMO field, because I get the feeling that the devs and corporate suits are too far removed from the rest of the industry at this point and unwilling to change that. Maybe things are finally getting better. But something’s going to need to be done with FFXIV sooner or later before it becomes a money pit from which there is no escape. After a lengthy ordeal involving me, the LOTRO patcher, and a police stand-off, I finally got Rise of Isengard loaded onto my computer and logged in to experience the wonder and majesty of… crap, did it just crash? It did, didn’t it. It wasn’t the smoothest launch day, to say the least. But when the dust settled and I got in, there was enormous fun to be had. Our kinship was overflowing, the GLFF channel was scrolling by so fast, and I barely knew where first to go. Since LI points had been reset, I spent some time working on those and figuring out where all my skill buttons went (since several skills got consolidated). Once everything got sussed out, I headed down into Dunland after a completely unnecessary Book 4 intro detour into a part of Enedwaith that is tedious to travel to and didn’t really need to be visited other than to high-five a quest giver and leave. Rise of Isengard offers you the choice of one of two starter clans to help out, so I went with the Clan of the Stag and spent the evening wrapped up in their plight. I don’t know if Enedwaith was just so substandard or if I’m way into the expansion vibe, but I got completely sucked into the story being told there. It wasn’t just Generic Quest Hub #164, but a village with a real tale to be told… and even though I was incredibly tired, I stayed up as late as possible to help them out. Good stuff. Loving the new armor and the additional stories — hope this feeling continues throughout the expansion! Glory of glories, it’s expansion day! As I write this, the heavens are pouring down rain and the lighting scheme in my office is something akin to “serial killer cavern.” It’s a dark and gloomy day, is what I’m trying to say. But oddly enough, it’s a good day, a GREAT day. Why? Because when I go home tonight, I have a brand-new Lord of the Rings Online expansion to explore: Rise of Isengard. I’ve actually refrained from touching LOTRO for a good week or so now. I tend to do that right before game expansions, because I like to build up the anticipation some more as well as have a break so that my batteries are fully charged. I did log in last night to make a new outfit for my Lore-master and buy him some consumables, but that was it. I’m ready. My excitement isn’t exactly bubbling over, it’s just at an elevated rate. I really do wish there was something I was so eager to see or do or experience that I’ll be rushing at like a newly opened theme park ride. Instead, this all feels like a solid addition that will be filling in the long run. I’m looking forward to tonight’s excursion, because expansions always bring out friends and kinnies in droves. General chat channel talk spikes up as well, as everyone wants to share their experiences with others. My plan is to approach this expansion with a laid-back, steady sense of exploration. It’s cool that there are two “starter” towns for Dunland to both give players choice and spread out the populace somewhat. This may be defeated by the fact that the westernly one is a bit more off the beaten track than the eastern one. After a long, long wait, players can progress their characters upward and onward: ten new levels, 2 more ranks per virtue, new skills, better armor, etc. I’m not thrilled about having to level up 12 virtue ranks, but I won’t be in much of a rush to do it anyway. Instead, I’m more interested in seeing how my character functions with the class tweaks, and to be hunting down all of the new armor designs for my outfits. I’m going to have to keep an eye out for the next tier of legendary items, too. And crafting! Oh, the crafting! In short, not going to be bored any time soon. So happy expansion day to my fellow LOTRO players! Enjoy and see you in game! 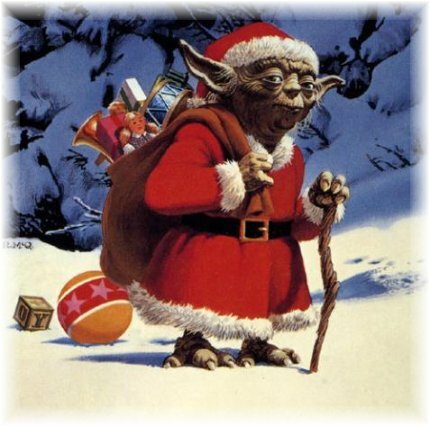 …a Wookiee in a pear tree! So on a Saturday, of all days, BioWare finally announced the two big details everyone was waiting to hear: When and How Much? The When is December 20th (or 22nd in EU), and the How Much is $15/month with discounts for multi-month orders. BioWare’s obviously concerned about pulling a World of Warcraft with its launch — i.e. having too many people try to jam through the door at the same time, servers crashing, people unable to log in. A bad launch day is something players tend to remember and hold over a company’s head forever, so it’s pretty imperative that this not happen. So we’re seeing a multi-stage rollout: first the early access folks with the pre-orders, then NA, then EU. Within that, BioWare’s stated that it has no compunctions against throttling access during this period to ensure that those who do get in aren’t subject to a horrendous experience. December 20th is an interesting pick for a launch date, I’ll admit. I honestly thought it’d be a little before this, perhaps December 10th or so, but the 20th accomplishes a few important deeds. First, it hits the targeted “Holiday 2011” mark. Second, it gets the game out the doors before Christmas, although just barely (and I feel bad for the BioWare staff that will undoubtedly have to work through the holiday season to troubleshoot and monitor everything). Third, it makes this the “must play” game of the season, particularly in the weeks afterward where there’s traditionally little else to compete for attention. Finally, it gives BioWare as long as possible to polish up the game without crossing the Christmas barrier. For many people, it’s better to have a date than to be left wondering, but now players have to cope with the reality that we have a three-month (minus a couple days) wait in front of us instead of the hope that, hey, it could come out on Halloween or something. It’s a good chunk of the year to wait, but speaking as a player who deeply values a finished product over something rushed out the door early, I’m all for giving BioWare this time. I just hope that they get more of the beta test weekends going and soon, so that the feedback can be incorporated into the launch product. I really thought we’d be seeing a little something different with the subscription cost — perhaps a higher per-month charge, or a strong emphasis on an in-game store, or whatever. But no, it’s pretty standard: $15/month, $42/3 months, $78/6 months. As always when studios offer this variety, it’s up to players to weigh the potential benefit of a few dollars saved versus locking into a longer time frame. I am happy it’s not more than $15 a month, and I think it’s smart, because it puts SWTOR on war footing with WoW. One thing to note is that we didn’t see anything in regards to either special pre-order pricing (I like what LOTRO and RIFT did with that) or lifetime subscriptions. I wasn’t really expecting it, but still, it would have been nice to have more options.